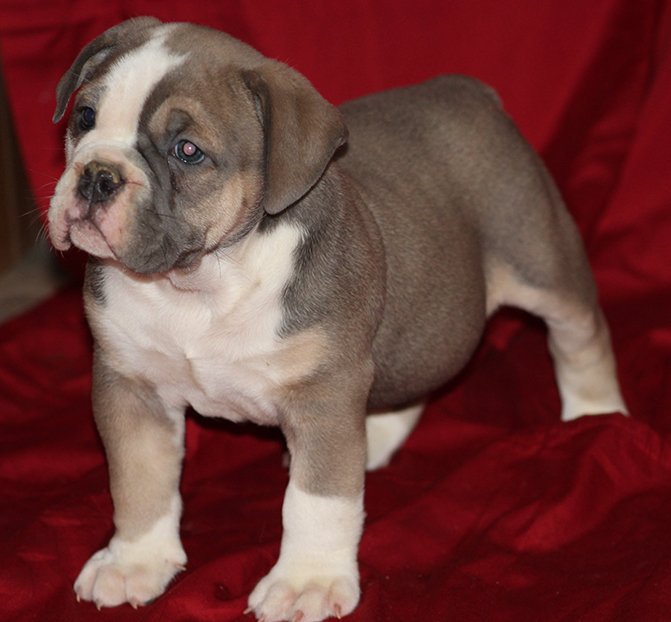 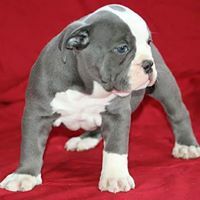 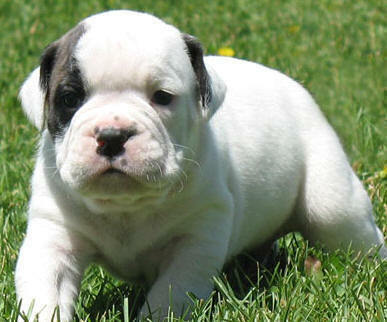 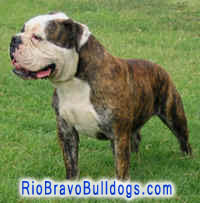 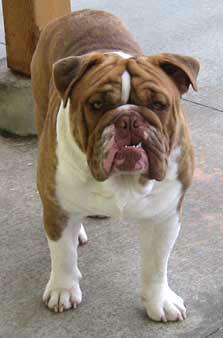 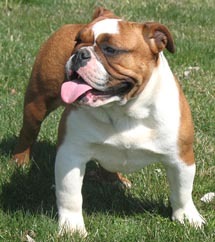 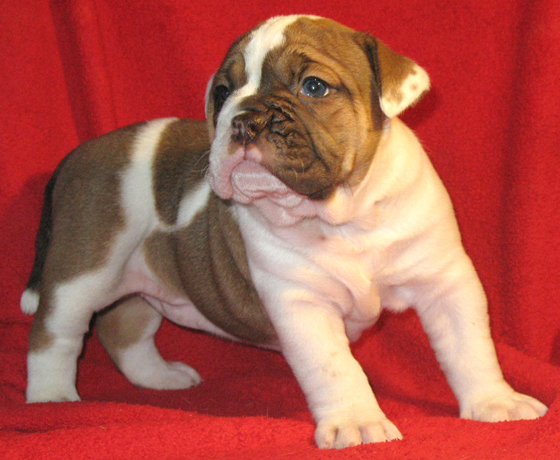 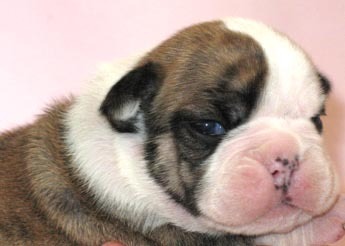 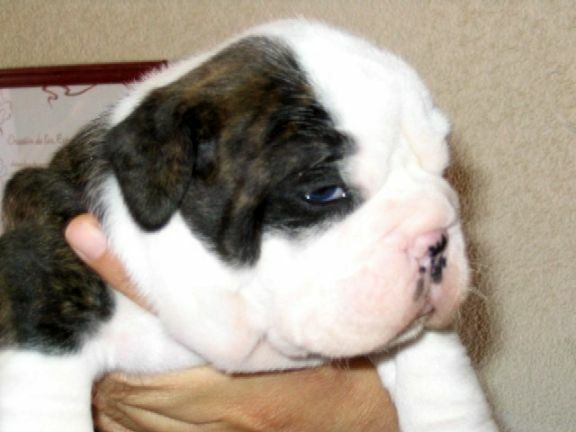 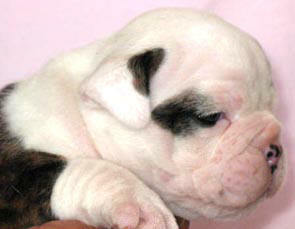 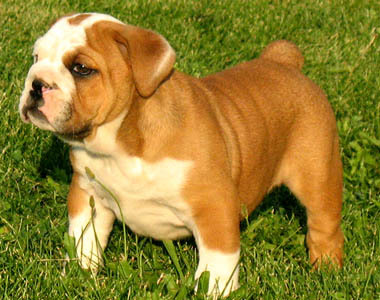 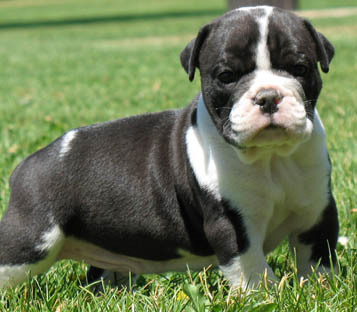 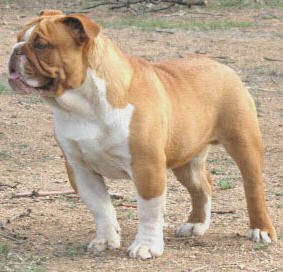 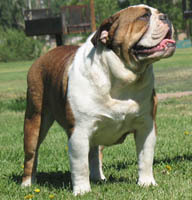 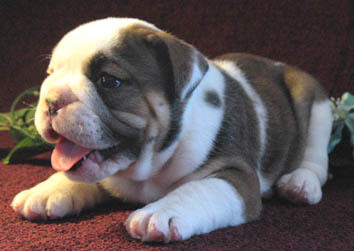 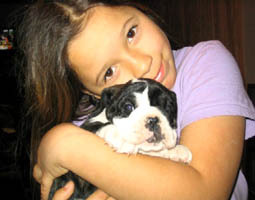 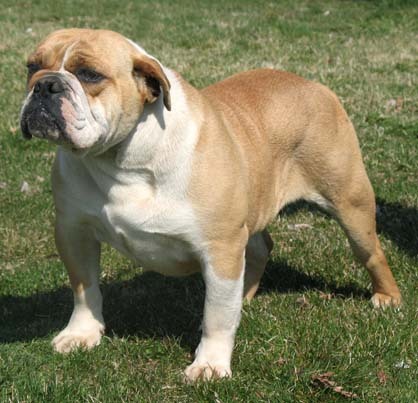 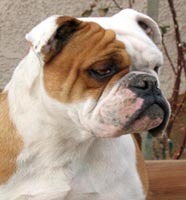 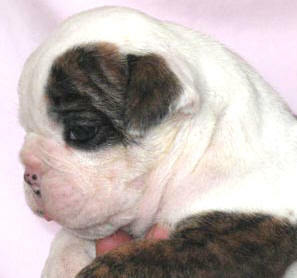 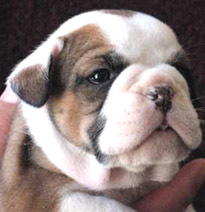 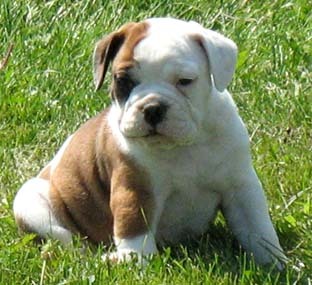 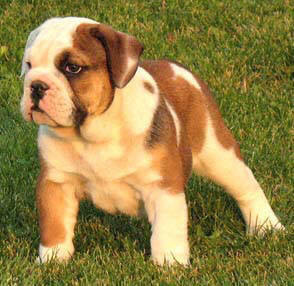 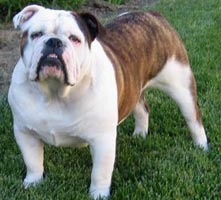 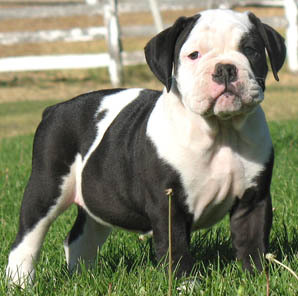 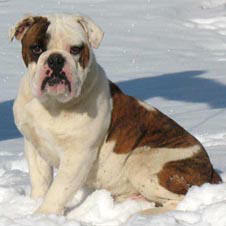 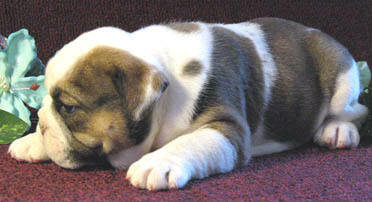 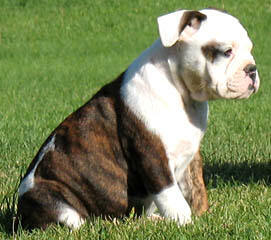 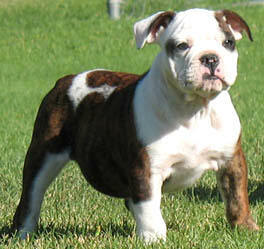 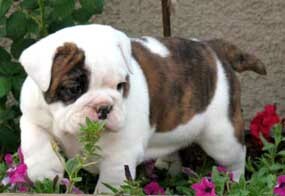 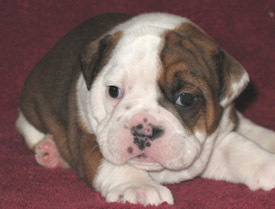 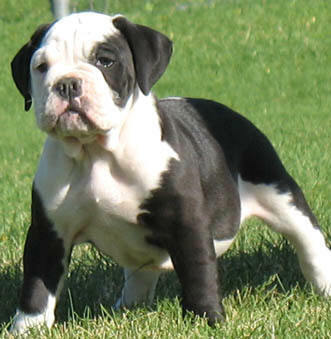 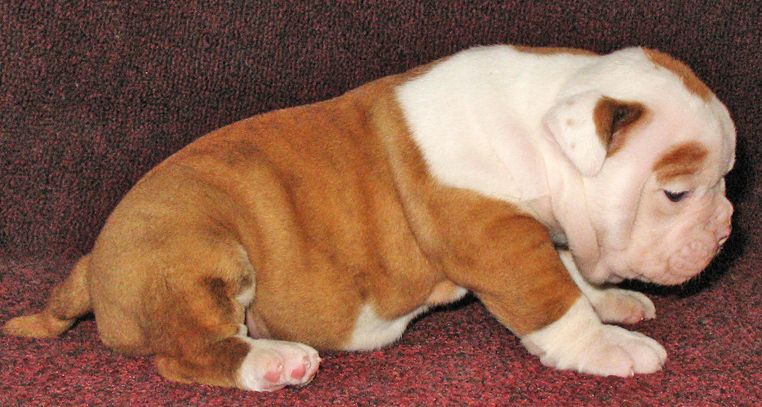 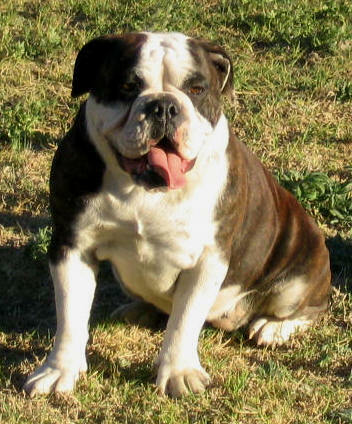 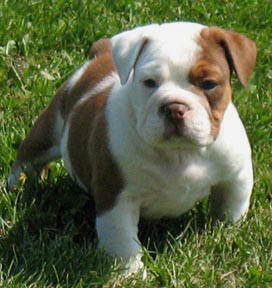 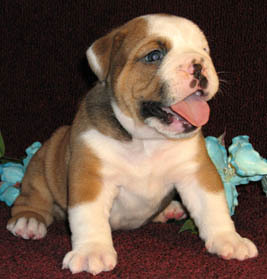 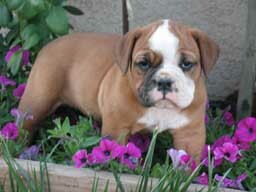 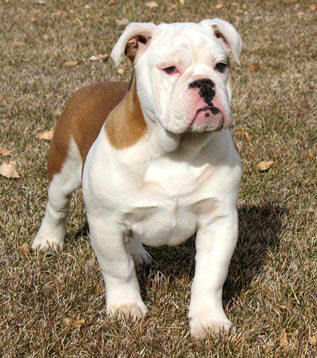 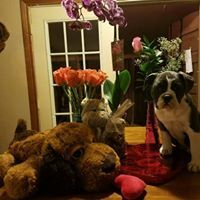 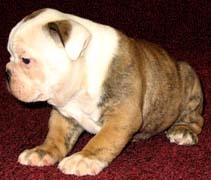 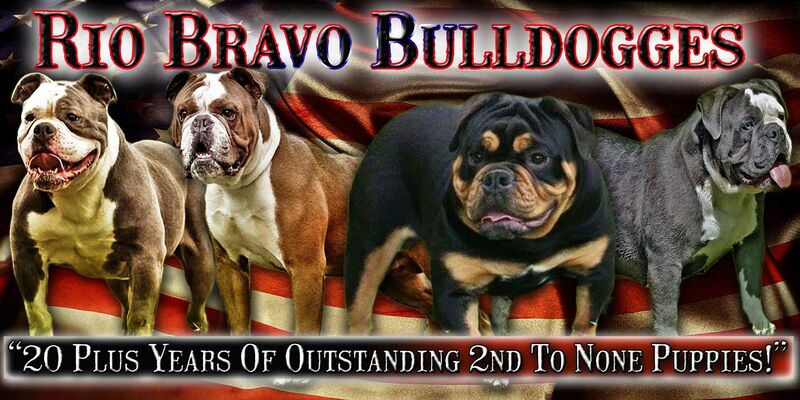 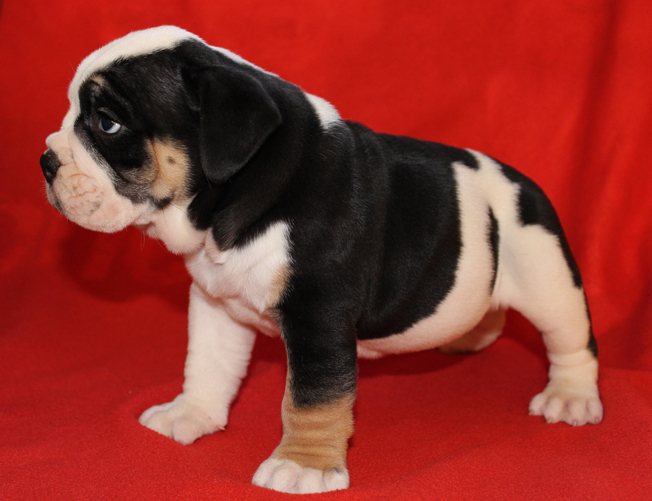 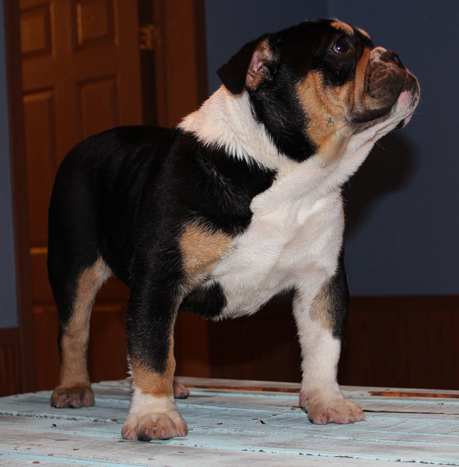 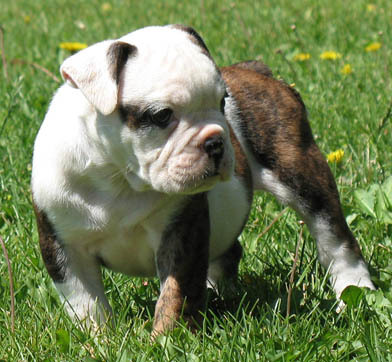 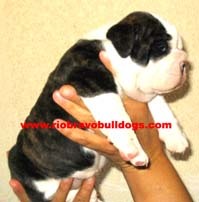 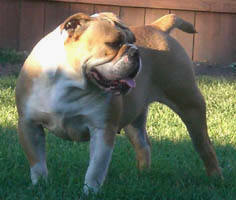 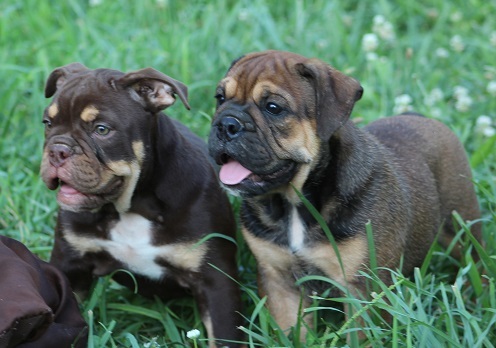 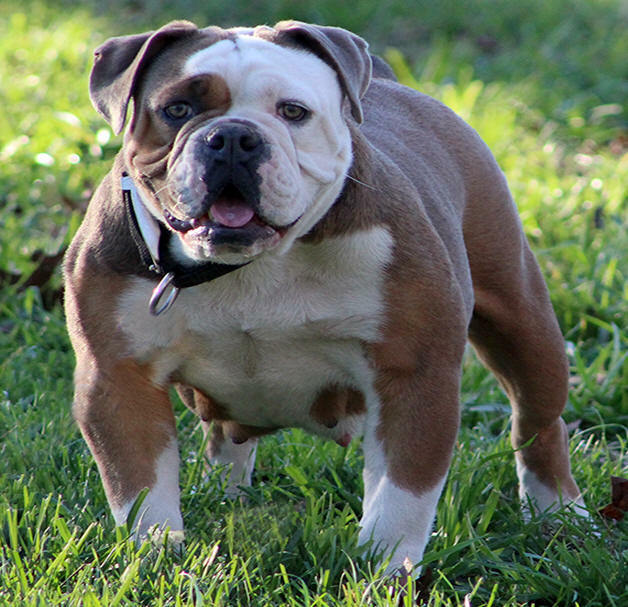 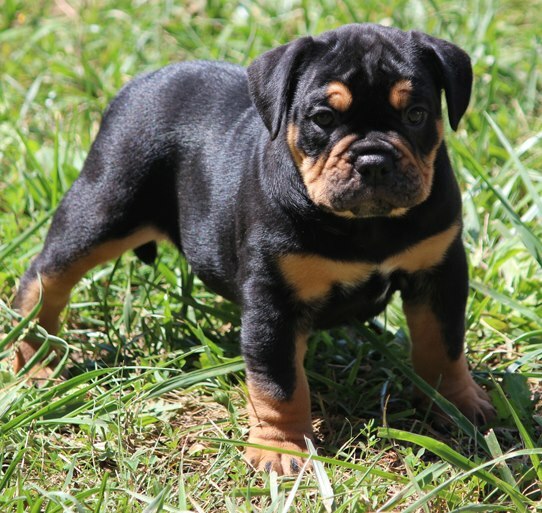 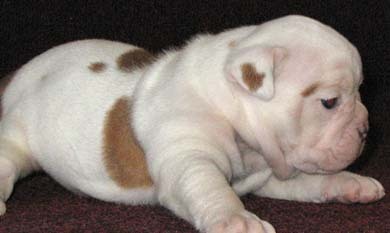 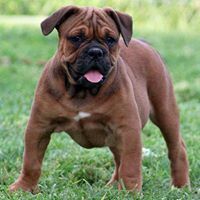 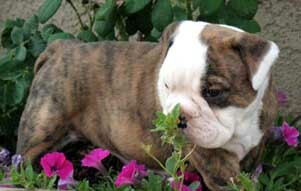 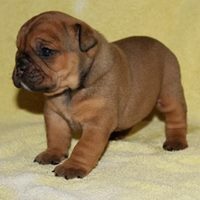 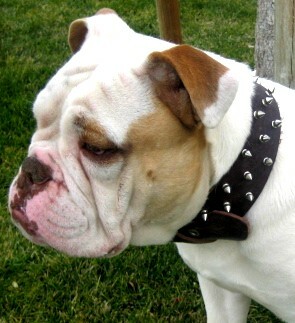 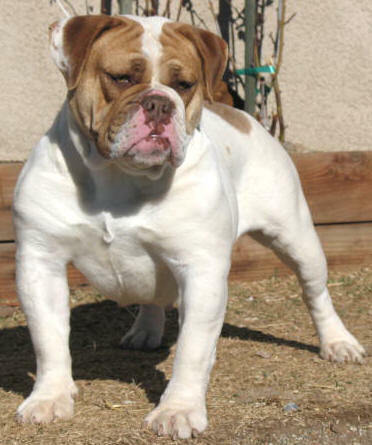 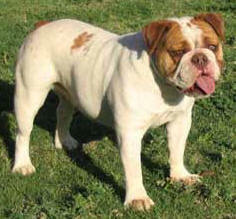 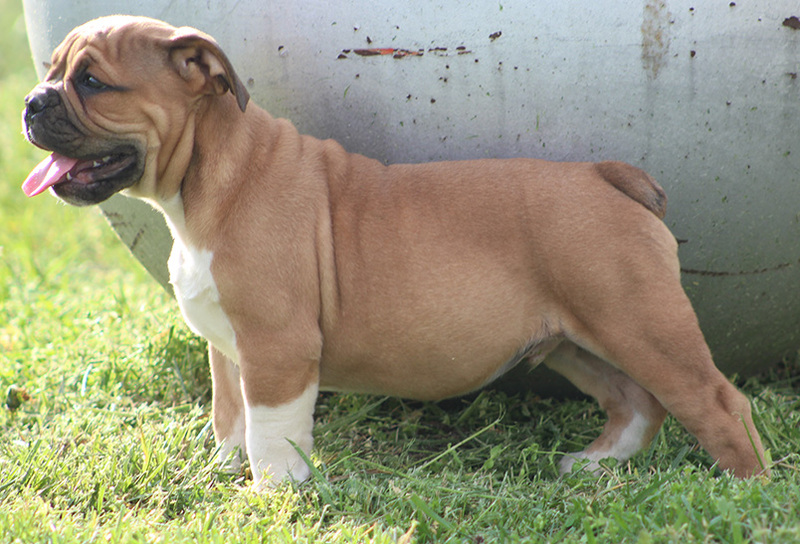 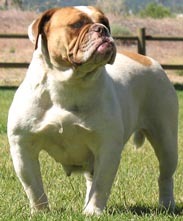 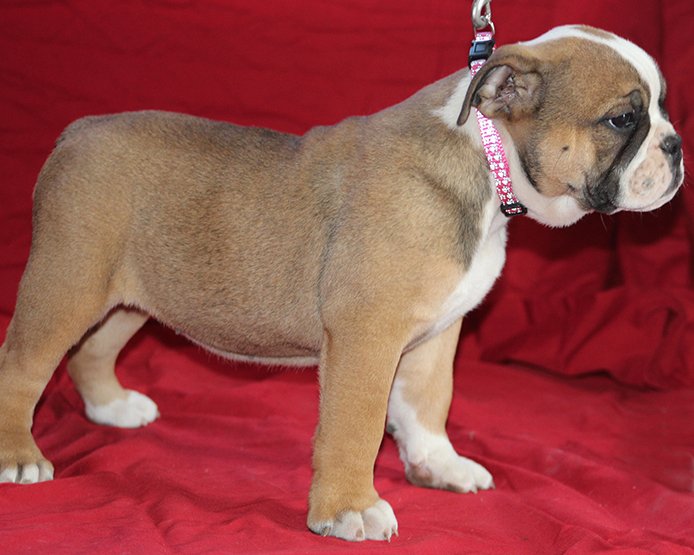 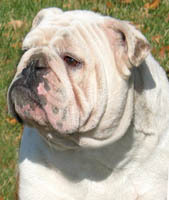 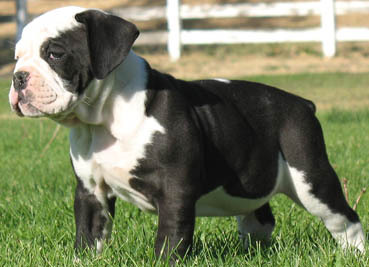 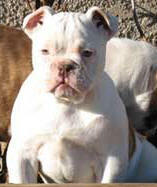 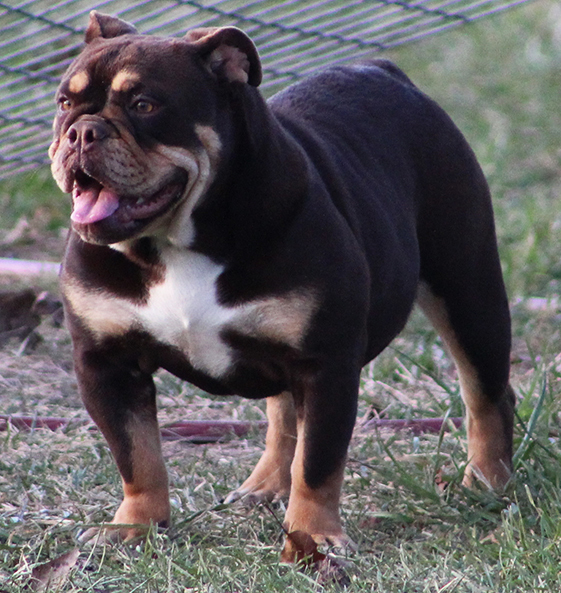 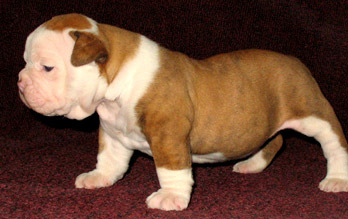 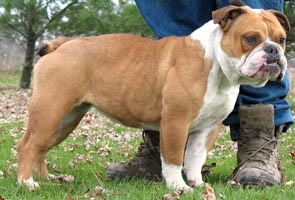 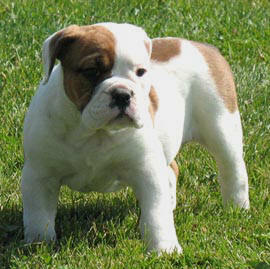 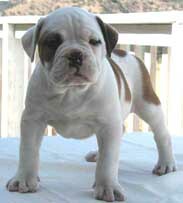 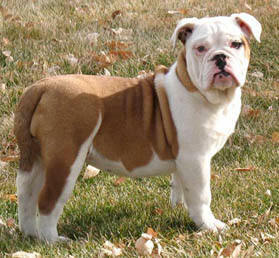 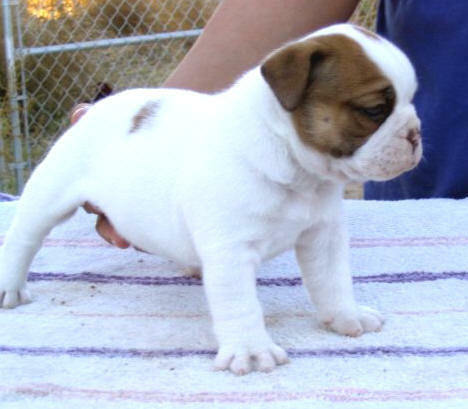 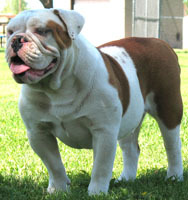 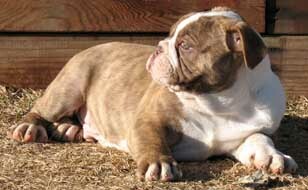 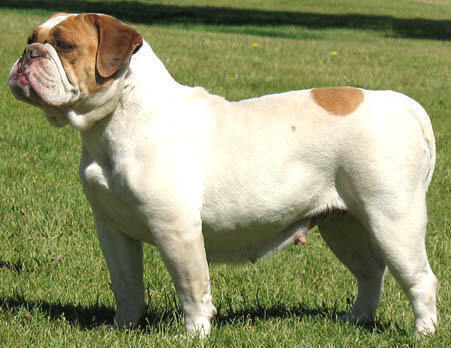 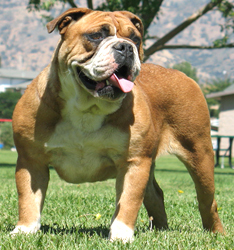 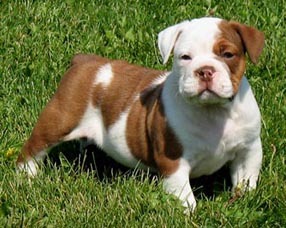 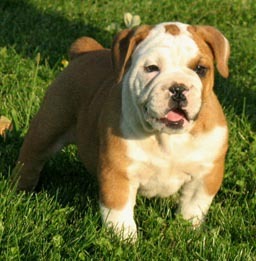 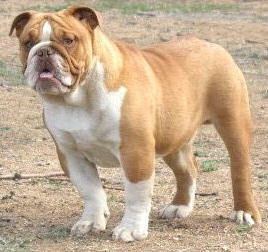 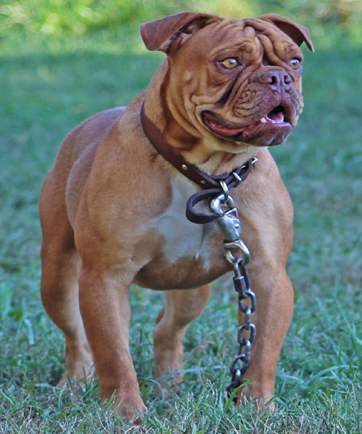 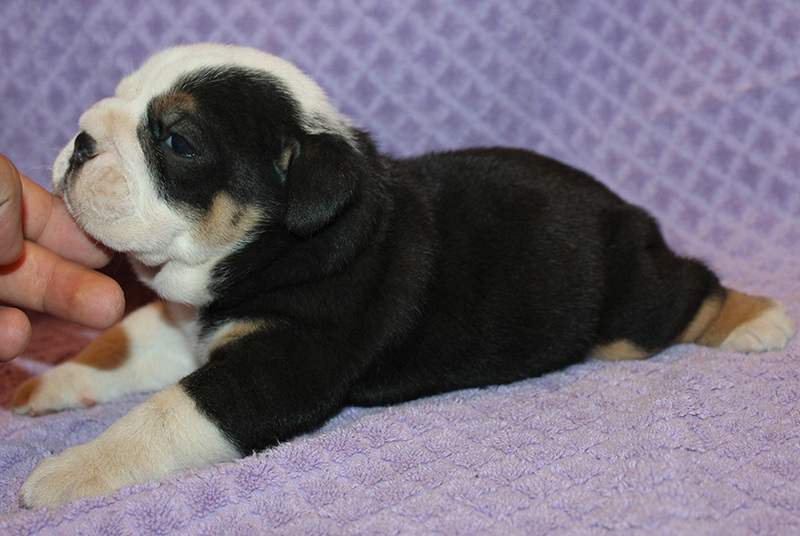 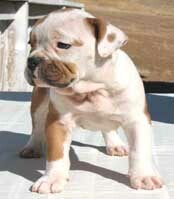 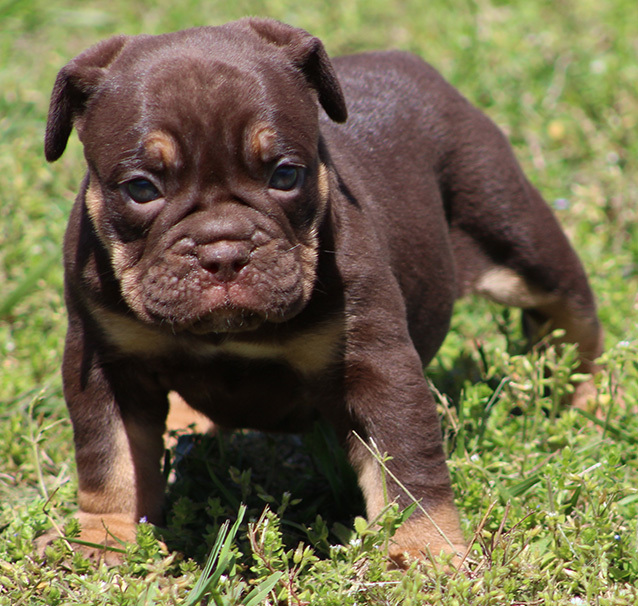 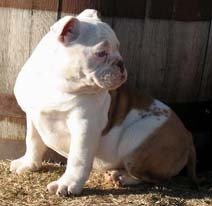 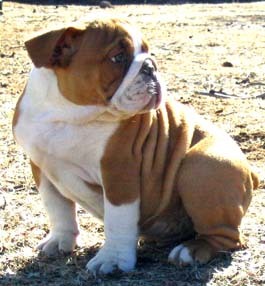 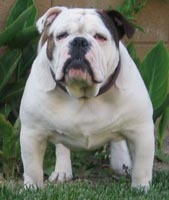 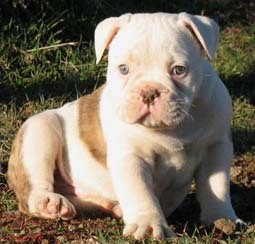 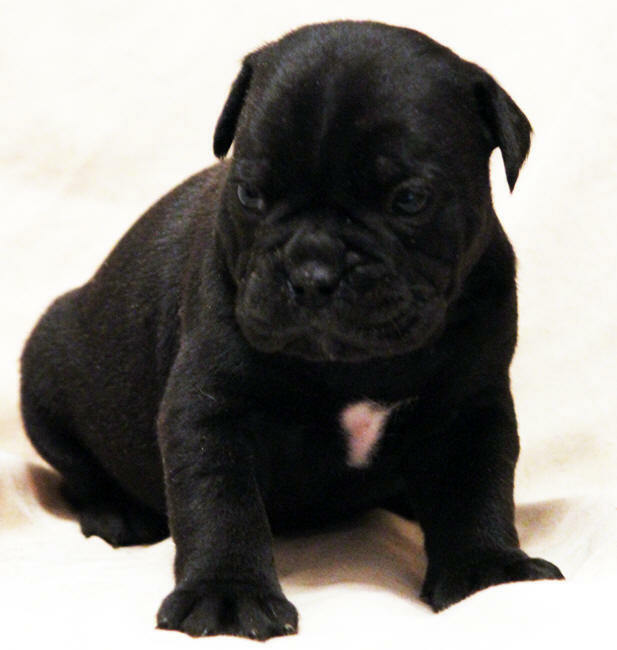 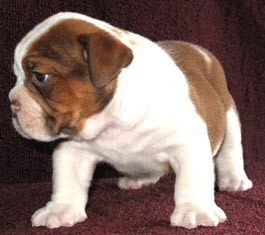 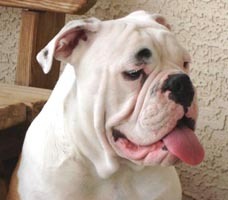 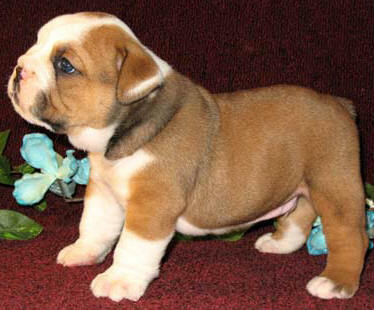 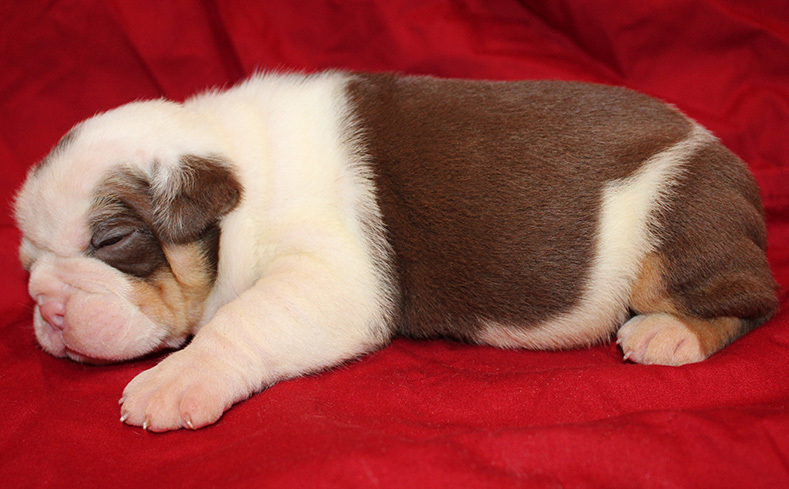 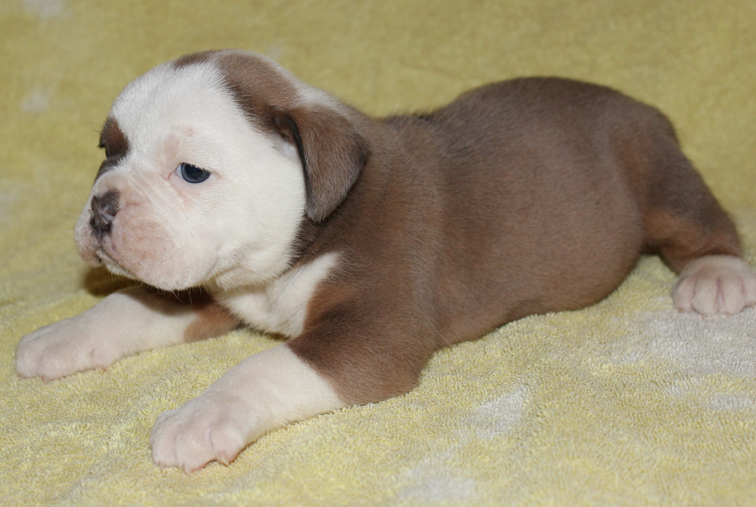 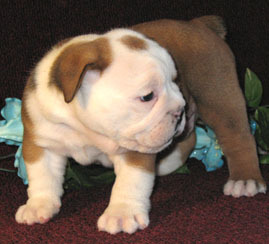 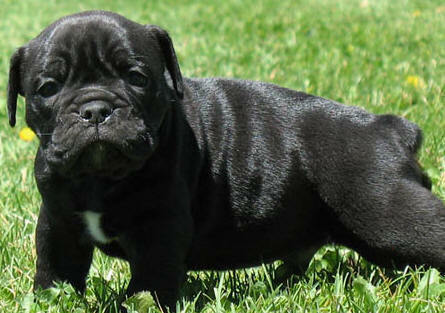 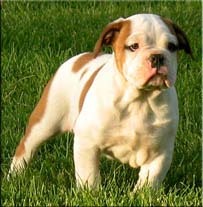 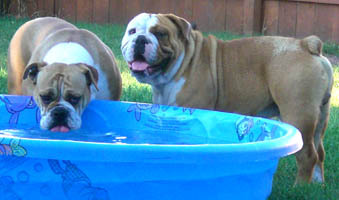 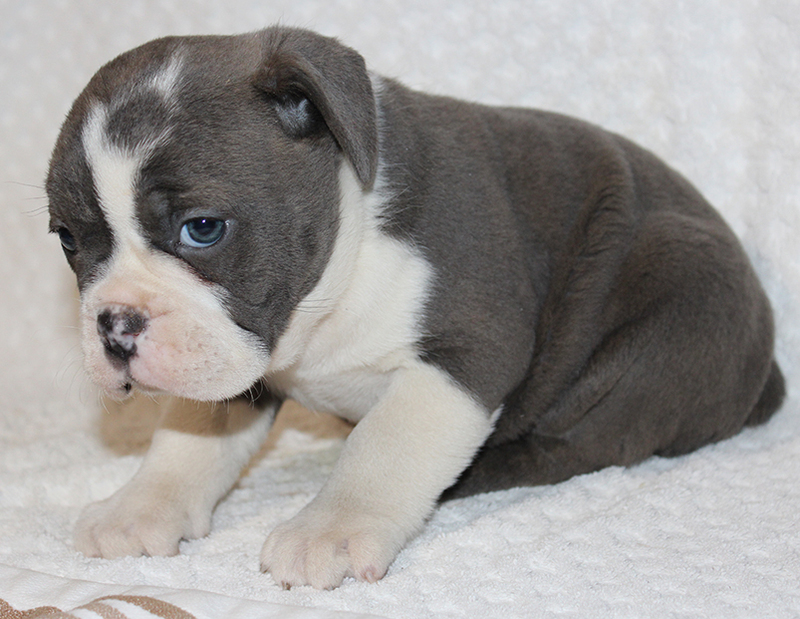 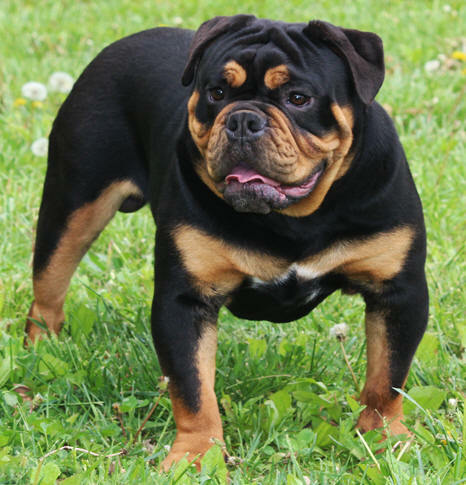 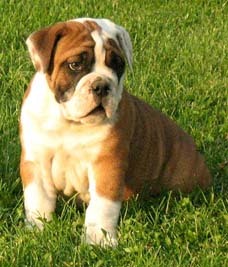 Olde English Bulldogges for sale, Olde English Bulldogs, English Bulldogs, Bulldogs for sale, Puppies for sale. 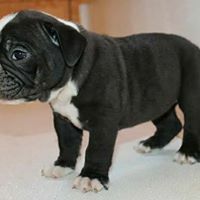 The Test of a Line is the Family, the Test of the Family is Time! 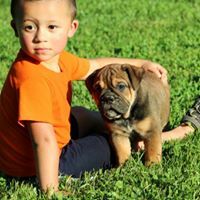 Rio Bravo's Sasquatch at 8weeks and as a 2 year old. 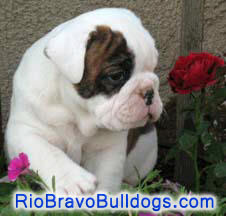 Rio Bravo's Blue Serena at 8weeks and as a Young Adult. 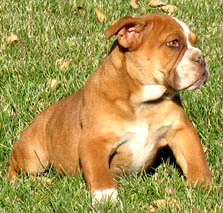 Rio Bravo's Reeses Buttercup at 10weeks and as a Young Adult. 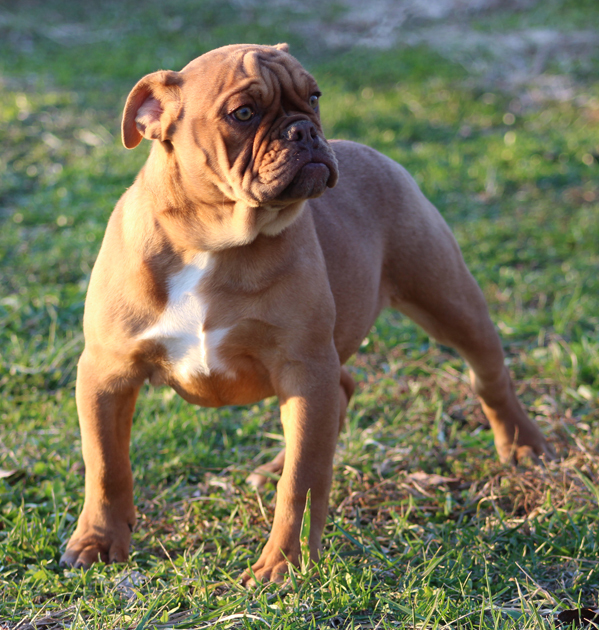 Rio Bravo's Foxy Roxy pictured here at 16weeks and at 1 year old. 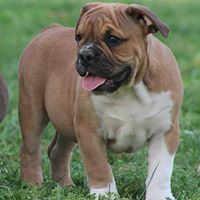 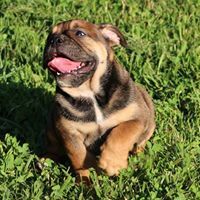 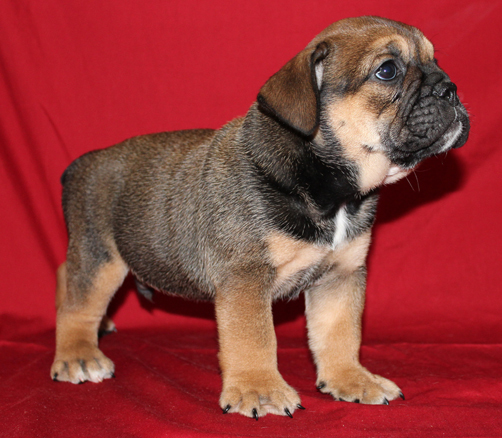 If your looking for a great Olde English Bulldogge pup give us a call or text (417) 554-3435.